Now, I am going to say that this will not be an easy pill to swallow. Not just for you, but for me too. This morning as my husband was leaving the house, he kissed my youngest daughter and told her that she was beautiful. Then he leaned over and gave me a kiss. He looked at me and told me that I was beautiful too. Ok…wait! Did you get that?! Or did you miss it?! He not only disregarded what I had said, but he also took it and turned it around by implying that because I am his wife, I am beautiful. After he left, I read a devotional that illustrated how often we take the time to treat strangers and those that we don’t really know, very well. Yet, we fail to treat ourselves and, sometimes, the ones we love, with that same kindness. Normally I would have told a friend or someone who I didn’t know, that they should not be so hard on themselves. Yet I was doing it. So I took some time to think about this. How does the way that I treat myself affect my relationships with others and more importantly, my relationship with God? There are enough people and ads out there that tell me that I am not beautiful, too dark, my hair isn’t straight enough. They say that I’m not smart enough, not tall enough, short enough, bold enough. They say that I’m too feminine and too masculine. They tell me that I need to be more independent, but that I’m not dependent enough. You know…I smile too much, but don’t smile enough. How about this one? I’ve been told that I am too organized, but not organized enough. I don’t know about you, but I don’t think that I should listen to these voices. They don’t seem too sure of the standard. Then there is me…I am really hard on myself. I often hold myself to a very high standard. In many ways, I deal with perfectionism. We all know that I will never be perfect, in this life. In all actuality, I am aiming to be pleasing to God, but that ends up translating into trying too hard. I keep trying to do what is right in His eyes, but I hear the voices of people. I hear them rejecting my application. I hear them telling me that now is not the time and I’m not it. My heart believes that He loves me and that I am accepted, but this head of mine…its always fighting with my heart. Telling me that I am not special and most often, I am not wanted. But wait!!! That’s not the truth. He never said that. That’s not even His character. He has created me as I am supposed to be and he loves me. He will never leave me. He has said the same thing to you. 2You know my sitting down and my rising up; You understand my thought afar off. 3You comprehend my path and my lying down, And are acquainted with all my ways. 4For there is not a word on my tongue, But behold, O Lord, You know it altogether. 5You have hedged me behind and before, And laid Your hand upon me. 6Such knowledge is too wonderful for me; It is high, I cannot attain it. 7Where can I go from Your Spirit? Or where can I flee from Your presence? 8If I ascend into heaven, You are there; If I make my bed in hell, behold, You are there. 10Even there Your hand shall lead me, And Your right hand shall hold me. 12Indeed, the darkness shall not hide from You, But the night shines as the day; The darkness and the light are both alike to You. 13For You formed my inward parts; You covered me in my mother’s womb. 14I will praise You, for I am fearfully and wonderfully made; Marvelous are Your works, And that my soul knows very well. 15My frame was not hidden from You, When I was made in secret, And skillfully wrought in the lowest parts of the earth. 16Your eyes saw my substance, being yet unformed. And in Your book they all were written, The days fashioned for me, When as yet there were none of them. 17How precious also are Your thoughts to me, O God! How great is the sum of them! 18If I should count them, they would be more in number than the sand; When I awake, I am still with You. 19Oh, that You would slay the wicked, O God! Depart from me, therefore, you bloodthirsty men. 20For they speak against You wickedly; Your enemies take Your name in vain. 21Do I not hate them, O Lord, who hate You? And do I not loathe those who rise up against You? 22I hate them with perfect hatred; I count them my enemies. 24And see if there is any wicked way in me, And lead me in the way everlasting. 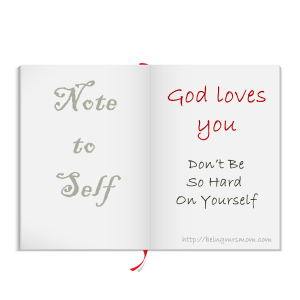 He has created us and in rejecting ourselves, we, in turn, reject Him. We are made in His image and with His love. He made us in a way that is magnificent and pleasing to Himself. All He wants is our love, obedience, and worship. This in itself is another post, but let me leave you with this. If you don’t love God with all of your heart, another god will sit on the throne of your heart and you will love it. If you don’t obey God, you will submit to another authority and obey it. If you don’t worship God, you will find something else to worship. All of those other things, that will attempt to take the place of God and desire you, will never ever do what God has done for you. They have never taken the time to piece you together and they will never love you. 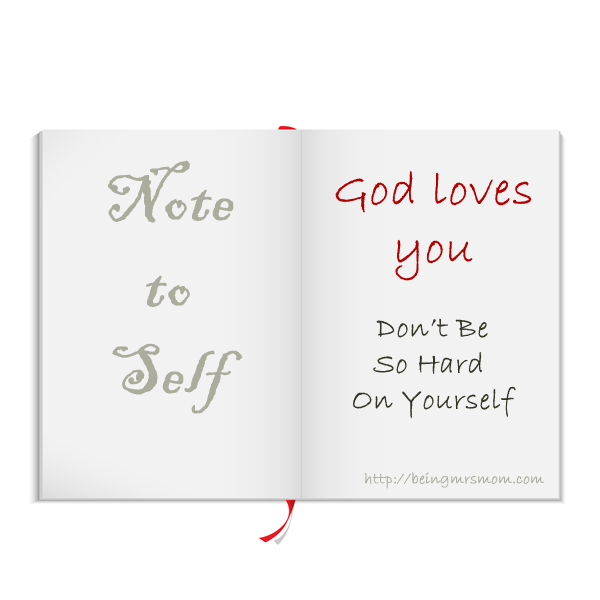 They are not totally dedicated to seeing you at your best…only God can, has, and will do those things. He sent Jesus Christ to die for your sins and to wipe your slate clean. Have you ever stolen something? Have you ever used the Lord’s name in vain? Have you ever looked at a man with lust in your heart? Have you ever been jealous of what someone else had and wanted it? Before Jesus, we were all liars, adulterers, and covetous thieves at heart. There was nothing left for us but to try hard and burn in eternal damnation away from God. Yet, Love paid the ultimate price and has now given us a chance to have life more abundantly here on earth…no more trying, just be who He has called you to be and walk with Him. You are also now able to have eternal life. If you don’t already know Jesus Christ as your Lord and Savior, please take a moment, in your heart to speak with the One true and living God. Accept His free gift of salvation, repent of your sins, and make Him the Lord of your life. I can’t promise you that there won’t be days when you wake up feeling like I did. I can’t promise you that you won’t or that the world won’t be so hard on you, but I can tell you that you don’t have to be. I can tell you that God is there at the door and He wants to walk with you through your roughest times. This applies to you whether you have known the Lord for years or are just meeting Him. My prayer for you today is that you would have peace in Him. Have a great day and be blessed.